Join Lord Byron, the most notorious figure from literary history, for a stiff drink. He’ll tell you his wild tales of debauchery and romance and entertain you with his wit and wisdom. 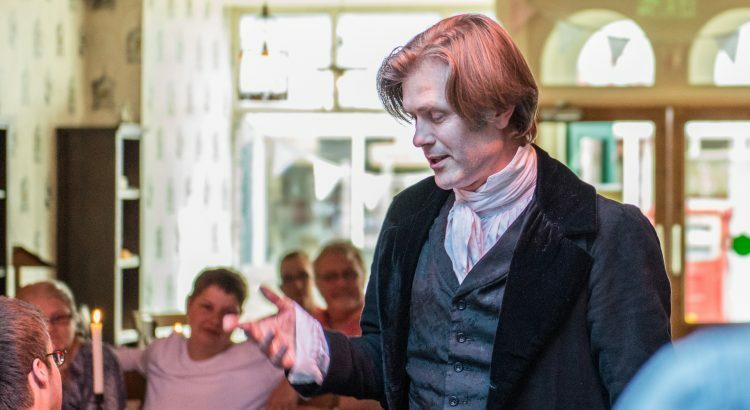 Meet the man who invented celebrity culture in this unique evening of performance and poetry made especially for pub settings. This one-man show combines Bryon’s poetry and improvisational comedy for an interactive night like no other.